Senior middie/attack Marty Shargel, an All-American at Agoura HS last spring, announced recently he will play collegiate lacrosse for the Onondaga Lazers, the perennial junior college power from Syracuse, N.Y.
Onondaga has won the National Junior College Athletic Association championship nine times, including seven in a row until that streak was broken in the national title game last spring by Genesee in overtime. Thirteen players off of last year’s Lazers squad, which finished 13-2, are moving on to play at NCAA D-I, II or III schools. After Lindsay sent Shargel’s highlight video to Onondaga head coach Chuck Wilbur, the process accelerated. 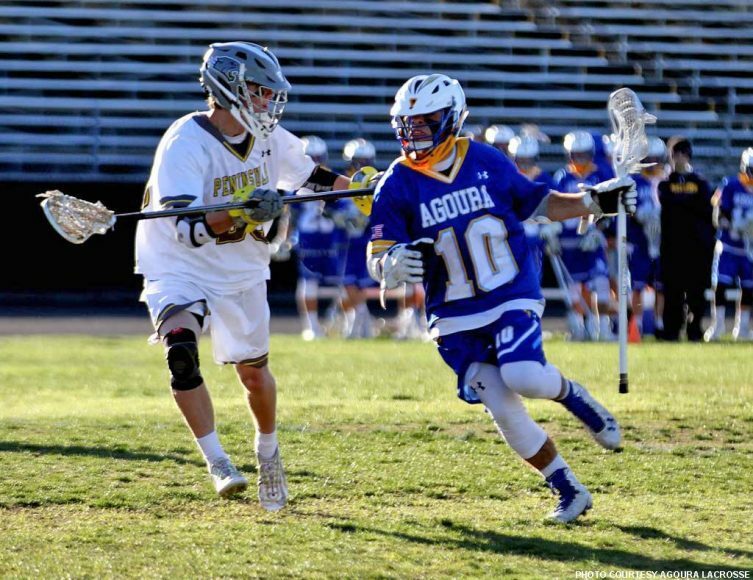 Listed at 5-foot-7, 170 pounds on last year’s roster, Shargel had a breakout season for the Chargers, scoring 63 goals in 17 games and being named U.S. Lacrosse All-American and first-team All-Marmonte League. That followed a sophomore season in which he scored 22 goals in 16 games. While the improvement in Shargel’s game can be attributed to hard work, his on-field production has to be attributed at least in part to a fearless determination. Not the biggest player, Shargel has earned a reputation for toughness, relentlessly attacking the opposing goal either with the ball or without.